IMT Articulating Cranes a "Top 100 New Product Award Winner" in Construction Equipment Magazine - Iowa Mold Tooling Co., Inc. : Iowa Mold Tooling Co., Inc.
A commitment to providing customers lighter, stronger, and more cost-effective lifting solutions led new IMT 610, 710, 810 and 910 articulating crane models to be selected as a Top 100 New Products Award Winners by Construction Equipment Magazine. 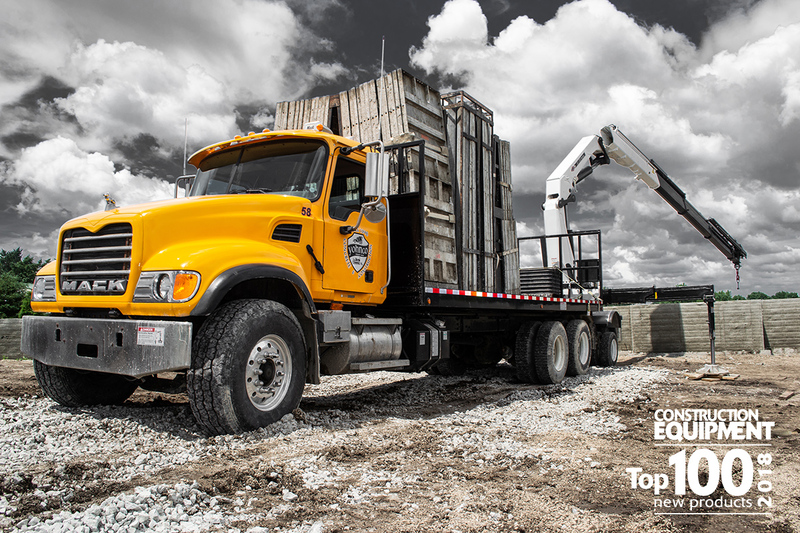 Each year, the editors of Construction Equipment evaluate the products introduced during the previous months and choose those considered most innovative. Those decisions are based on four criteria: A top product is an advancement in technology, a new product line, offers significant improvements to existing products, or increases competition in its field. 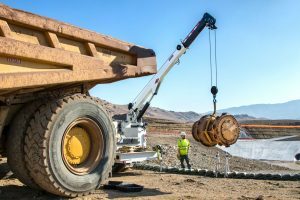 We increased lifting capacity on current radio-remote articulating crane models to improve upon the high-performance and economical lifting solutions the IMT crane line offers. The new articulating cranes offer impressive and versatile increased lifting capacities in the 40,000 ft-lb to 70,000 ft-lb range. 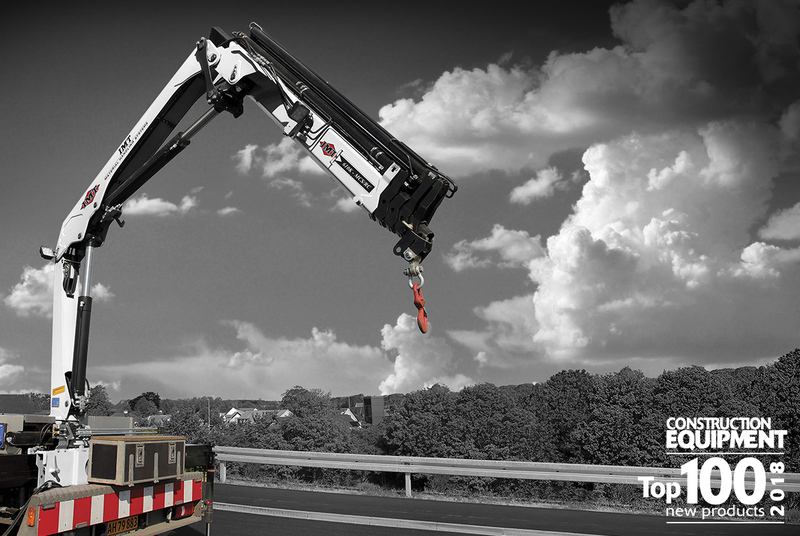 The new models share the same tried-and-true features offered on all IMT articulating cranes, such as over-bending, which ensures the working area between the main boom and the jib is no less than 195°. Between the increased lifting capabilities and the EVS and RCL, customers can maximize their productivity. Also available on the new cranes is the Electronic Vehicle Stability (EVS) system. 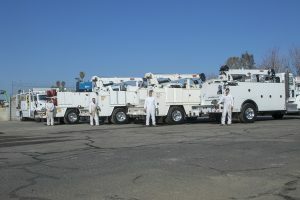 Implemented to prioritize operator safety, EVS monitors the crane stability and warns the operator when the tilt of the truck’s chassis approaches a pre-set angle. The EVS system integrates with Rated Capacity Limiter (RCL), a key safety component that monitors the crane’s load moment, operation and function. Together, the EVS and the RCL create an integrated system that ensures truck stability, so the crane can be used at available capacity in any vehicle setup — without jeopardizing safety. Additional new features include internal hose routing, the “j” stow hook and improved lift to weight ratio on all models. These four new award-winning models add to the comprehensive IMT crane lineup that operators have relied on for decades to get the job done.